Chiropractic care can begin at birth (in fact, it can start while the baby is in utero). As is the case with our adult practice members, we don’t guess at the cause of a child’s health problem. The scans provided by the INSIGHT™ system give us a deep level of certainty about whether chiropractic care can help. Often, parents bring their kids to us because of neurodevelopment conditions such as autism, Sensory Processing Disorder, and ADHD. However, pediatric chiropractic care can treat a broad range of conditions. Many of the indirect health benefits for children are the same as for adults, including better focus, energy, and sleep. We find that kids who are regularly adjusted are happier, healthier, and more full of life. Kids’ bodies are not the same as those of adults. We adapt our techniques (or use different techniques altogether) to meet the needs of children. Dr. Matt understands that parents often have questions about their child receiving chiropractic care. We encourage parents to call or visit the office (whichever they are more comfortable with) so that we can fully address all concerns before their child becomes a practice member. We also know that kids themselves can be nervous. 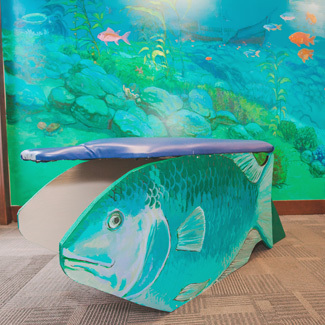 We have a dedicated space in our office designed to make children comfortable; it has a magnetic wall, a colorful mural, and a TV/video player. 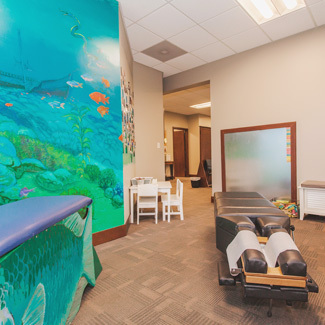 Most importantly, we never force an adjustment; if your child is not ready, we will use the visit to answer their questions and provide information to ease their concerns, delaying the adjustment until a later visit. Safe and natural chiropractic care can help your child experience optimal health. 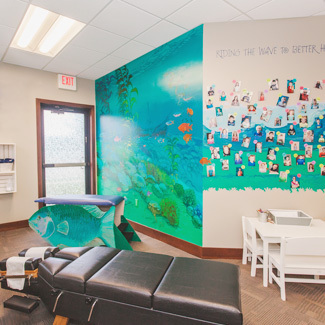 If you’ve been looking for a pediatric chiropractor, schedule an appointment today at Health Zone Chiropractic!